Well I could write an article on the mighty psoas or the wonder that is Franklin Balls, or I could just post an extract from Wayne McGregor’s Chroma, featuring Laura Morera and Eric Underwood from The Royal Ballet. They’re dancing to The Hardest Button to Button by The White Stripes. For more information on Chroma, go here. I recently discovered London-based photographer, Rick Guest’s book, What Lies Beneath. It features the stunning images he took of some of the world’s best dancers. Guest’s aim was to capture the ‘determination and sacrifice’ that goes into the gruelling training regimes of professional dancers. Guest: ‘The photos were taken over the last three years, with the dancers always coming to my studio. 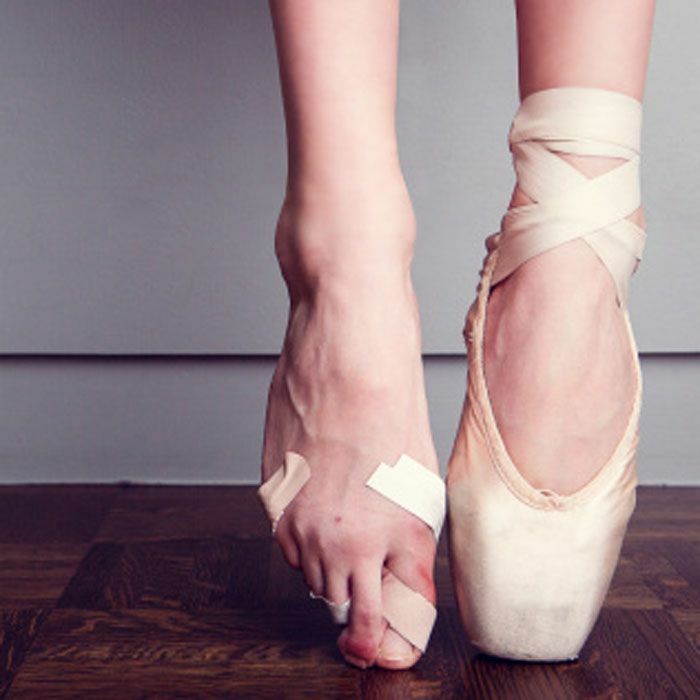 I felt it was important to remove them completely from the world where they perform, in order to better get under their skin as people, not just the dancer playing a character. Part of their job is to make the physicality of what they do appear effortless and only be seen in terms of how it adds to the narrative of the performance, but this does a great disservice to their art and its appreciation. 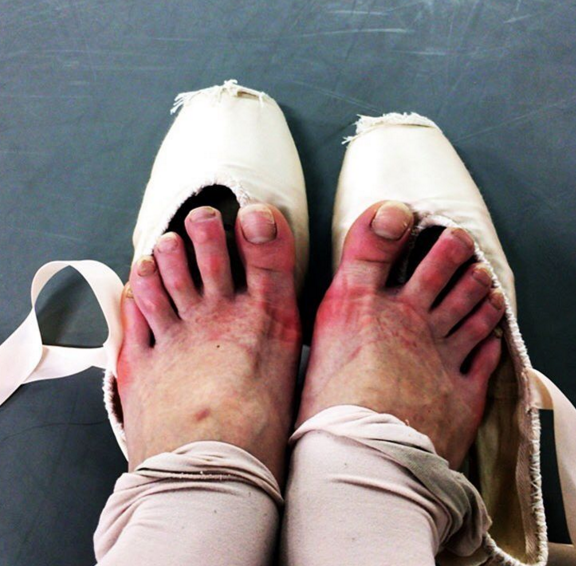 In case you’re in any doubt of the brutality of dance, here are couple of images (not by Rick Guest) of dancers’ feet…ouch!